The SFU Surrey Faculty of Education seminar series From the Ground Up continued last week with a presentation by Dr. Alanaise Onizichin Goodwill, an Indigenous scientist-practitioner and educator in Counselling Psychology at SFU Surrey. Dr. Goodwill is one of very few Indigenous Registered Psychologists in British Columbia, and practices active counselling service within several Indigenous communities. 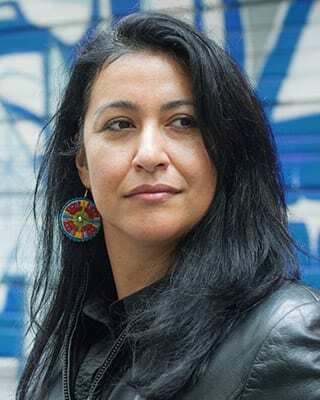 Her scholarship aims to decolonize mental health practices by addressing serious manifestations of colonial violence such as gangs and gender-based violence. In this seminar she briefly outlined four directions of her present and past work. My aim in this post is to represent these directions; I urge you to follow the links provided to learn more about her important work. One major research project Dr. Goodwill discussed was a SSHRC-funded narrative inquiry into the nature of career decision-making among Aboriginal women (a study conducted with Drs. Bill Borgen and Marla Buchanan). The aim of the study entitled From Knowledge to Wisdom: Indigenous Women’s Narratives of Doing Well With Career Decision-Makingwas to learn more about the decision-making processes of Indigenous women who self-identify as making positive career decisions. This involved, for example, seeking to understand what benefits and challenges the Indigenous women faced during career-decision making over time. 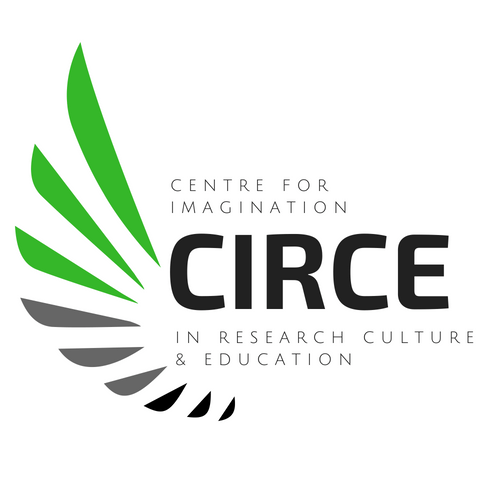 The rationale for the study included a general lack of understanding around Indigenous women’s career development experiences and discriminative governmental policies that have targeted and negatively impacted Indigenous women in achieving socio-economic/ career success than non-Indigenous women/men and Indigenous men. Nine Indigenous women shared their stories of: 1) pursing a career direction; 2) pursuing education and training; 3) experiencing career barriers; and 4) relational experiences in the context of their career decision-making were shared. Learn more: Goodwill, A., Buchanan, M., Borgen, W., Mathews, D., DuMerton, L, Clegg, D., Becker, S., & McDaniels, M. From knowledge to wisdom: Indigenous women’snarratives of doing well with career decision making. (submitted Dec 2018). Canadian Journal of Career Development. Dr. Goodwill collaborated with Dr. Candace Kaleimamoowahinekapu Galla from the University of British Columbia on a project entitled: Talking Story With Vital Voices: Enacted Knowledge of Indigenous, Language, Culture and Wellbeing. The findings in this project are digital stories, documented and created in collaboration with Indigenous language speakers. The purpose of this story is to use Indigenous language as a vista into the worldview and understanding of what it means to have well-being. The audio-video documentation of language (orality, gesture, tone of voice, musicality, and meaning) is another important output of this research, as language does not simply exist for a literal world but for an oral one as well. 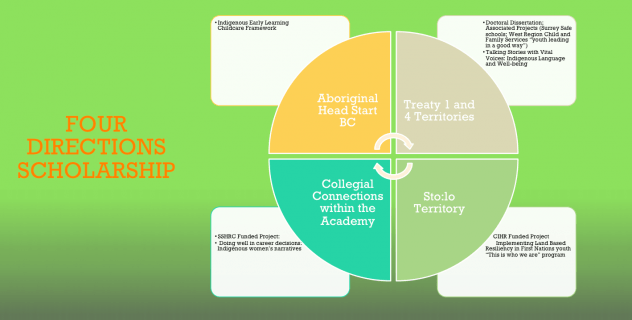 Dr. Goodwill’s work has also recently included analysis of the Aboriginal Head Start Urban and Northern Communities (AHSUNC) Indigenous Early Learning and Child Care Engagement (IELCC) Survey Results. (Responses were generated from 527 early learning and child care providers and 1318 service users (parents/guardians) from surveys administered within AHSUNC programs nationally between May 15-June 30, 2017). This survey analysis was conducted, written into a report, and shared at the Indigenous National Health Conference in Mississauga Ontario (May 2018) in order to inform the Indigenous Early Learning Childcare Framework which was rolled out by the Federal Government in the late fall of 2018. The study presented the perspectives of staff, parents, caregivers, and front line workers in Aboriginal Head Start Centers from across Canada (Urban and Northern sites). Dr. Goodwill has been part of a CIHR funded program (Principal Investigator Adrienne Chan of the University of the Fraser Vally) that synthesizes the knowledge gained through work with four Indigenous communities (Sumas First Nation, Scowlitz First Nation, The Mission Indian Friendship Centre, and Nuxalk Nation), their Indigenous Youth, and their engagement with land based resiliency activities. It is a suicide prevention project that is in phase 2, ending in 2020. Dr. Goodwill’s work has focused on documenting the digital stories of Indigenous youths who are engaged in land based resiliency activities with these communities. Using Adobe Premier Pro, her team generated 7 digital movies and are in the process of documenting more.